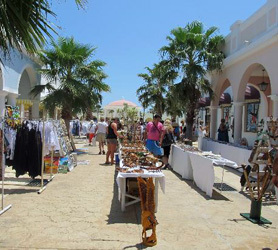 One of the strongholds of Cuban tourism i ndustry, the archipelago Jardines del Rey (king gardens), extends along the northern coast of central Cuba . 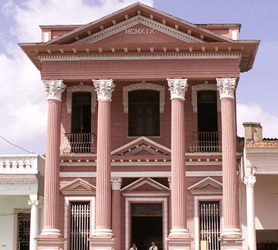 Some of its keys are larger than some countries and its almost intact nature has positioned it as one of the most highly sought destination in the Cuban Caribbean. A magnificent 250-mile-long coral reef borders its northern coast. It constitutes the second longest coral reef in the world, only surpassed by the Great Barrier Reef in Australia . In between its keys and islets there are canals or passes, which origin owes to ancient river basins being partially submerged at the end of the last ice age millions of years ago. The keys become larger as we move from West to East up to the northern coast of the Morón territory, in the Ciego de Avila province. 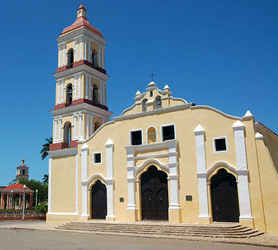 In this region are located the Isle of Turiguano and the keys Coco , Guayabal, and Sabinal. They conform a sort of outer littoral that encloses the bays of Buenavista, Los Perros, and Jigüey. Sun, beaches, nautical sports, the unique ambience provided by its comfortable resorts and hotels, and the possibility of going in excursion to other places in Cuba provide all those willing to discover it with a green and promising archipelago enjoyed several decades ago by American writer and Nobel and Pulitzer Prize winner Ernest Hemingway, who wrote his book “Islands in the Stream” inspired by the paradisiacal islets. 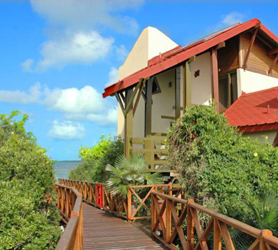 Among the insular formations in this archipelago you will find: Cayo Coco, a key joined to the major island by a 10-mile causeway and, in turn, joined to the neighboring isles of Cayo Guillermo and Cayo Paredón Grande. 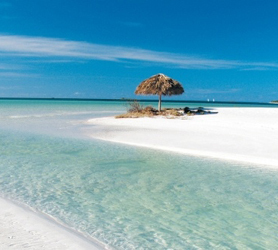 Other islets are Cayo Romano, Cayo Sabinal, Cayo Santa María, and Cayo Francés, just to mention some.